When I was a teenager, before the days of GPS, my brothers and I went backpacking in the Adirondacks where there were no trails. We had topographical maps and compasses. This was the real deal, with hand drawn parallel lines for the local magnetic north correction drawn on every map. The way this kind of bushwhacking works is you get a heading from the map to the next mountaintop and then follow that heading. In the Adirondack woods, you have to keep watching the compass because the trees prevent straight paths and you can easily drift away from a straight path. When you are between peaks, you can't see the mountains around you. When you get to the next peak, you take a bearing on each mountaintop around you and trace the lines back to where they intersect to tell you where you are. 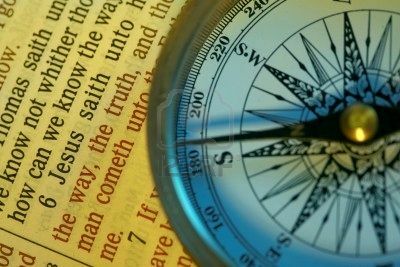 If you have been diligent about following the compass, you will be on the peak you expected. If you don't keep watching the compass, and instead trust your sense of direction, you will wander off course. Now, the Adirondack Park is 6 million acres, so you don't want to get lost there. So we carried multiple maps in waterproof covers and had redundant compasses, because without them we could die. So what do you do to ensure that you do not get lost? Is there a risk of you getting lost spiritually? Can you lose your way? Yes, the bible is full of warnings about having once walked uprightly only to wander. How do we stay found? God's word teaches us how to live so that we don't get lost or worse, caught in the world's snares. 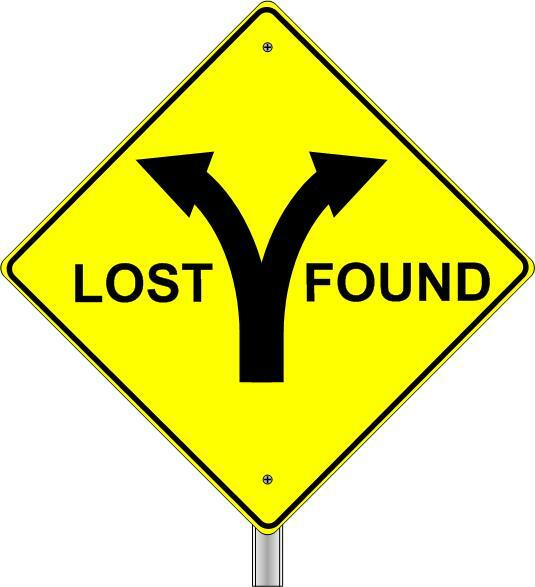 What is the difference between someone who gets lost and someone who stays found?